Come join us for the annual TAAM Summer Picnic! Come join us for the annual TAAM Summer/FON Volunteer Appreciation/Şeker Bayramı Picnic! TAAM will provide: Beef Franks, Chicken Wings, Salad, and Drinks. Please bring a dish to share: Salads, Cold Dishes, Fruit, Cakes and Cookies. (Çörek, Börek, and Kurabiyeler) would be highly appreciated! Best Köfte Contest: We also want to host a Köfte Contest. So make your own KÖFTE with at least two pounds of ground beef and bring to the picnic to be grilled on site. There will be prizes for the 1st, 2nd and 3rd place winners of the Best Köfte Contest. Bring your volleyballs, lawn games, frisbees, backgammon sets, chess sets, and soccer balls! There is a disc golf field, sand volleyball courts, a fishing pier, and green acres all around. Swim Suits and Towels: The Rosland Park is Next to Edina Aquatic Center. If you like, you can eat, go for a swim, sunbathe by the pool and come back to the picnic site for more food and drinks all day long. Discounted ticket for the pool is $10 (Cash only please) and can be purchased from TAAM social chair Ilgin Sezer at the picnic. Rosland Park is 22 acres and conveniently located in the southeast corner of Highway 100 and Highway 62. Loaded with fun activities for everyone, Rosland Park offers new playground equipment, two tennis courts, a baseball field, a volleyball court, disc golf and a fishing pier. The central attraction of Rosland Park is the lovely fountain in the middle of Lake Cornelia. An easily accessible 1.1 mile walking path surrounded by wildlife and diverse wetland, lake views and baseball fields stretches around the lake. 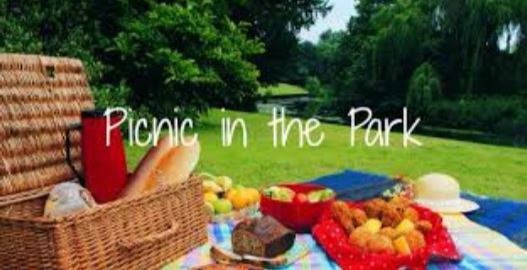 The Rosland Park is Next to Edina Aquatic Center: We are trying to negotiate a group discount for the day of the picnic. Whether we get the discount or not you will be able to purchase passes to the aquatic center, come to the picnic, eat and have fun with us, go for a swim, zip-line and plunge in to the pool, come over to the picnic site for some more food and drinks, go tubing at the Aquatic Center and come over to the picnic site for some more food and fun activities all day long.. The main attraction of the Edina Aquatic Center is an Olympic-sized pool with a step-in entry, a three-meter diving board, a one meter diving board and lap swimming lanes. For swimmers’ comfort, the water temperature in all pools is kept at 82-84 degrees Fahrenheit. 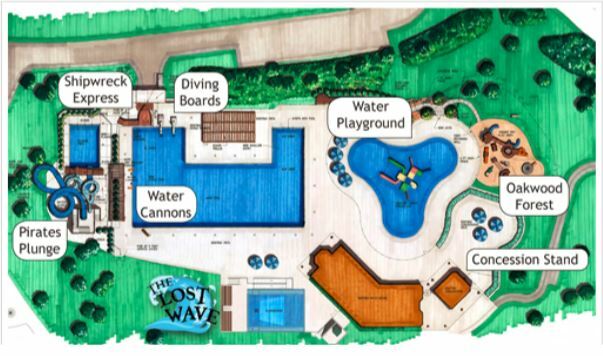 The newest attraction at the Aquatic Center is The Lost Wave; this surf simulator allows novices and veterans alike to try their skills at catching a wave in a safe environment! The Pirate’s Plunge–a water slide tower—features a 207-foot body slide and 300-foot tube flume, with single, double and triple tubes available. Shipwreck Express–a thrilling cable ride. Riders climb aboard a 10-foot platform, built to look like a ship’s bow, grab onto a trapeze bar, glide over the pool and splash into the water below. The popular children’s pool features spiral and tunnel slides, a tire swing, sprays, fountains and other water-in-motion amenities. For easy entry, water depth begins at zero and gradually increases to 18 inches. Children can dry off and exercise their imaginations in Oakwood Forest, a tree house-themed playground. The focal point of the dry play area is a large tree with a climb-through center, look-out tower and slide exit. The playground also features a life-size giraffe and hippo, monkey bars and a rope spider web.